Real estate marketing solutions that create results. The Taplin Group wanted to attract retailers to their upcoming premium shopping precinct in the upmarket suburb of Mitcham, South Australia. 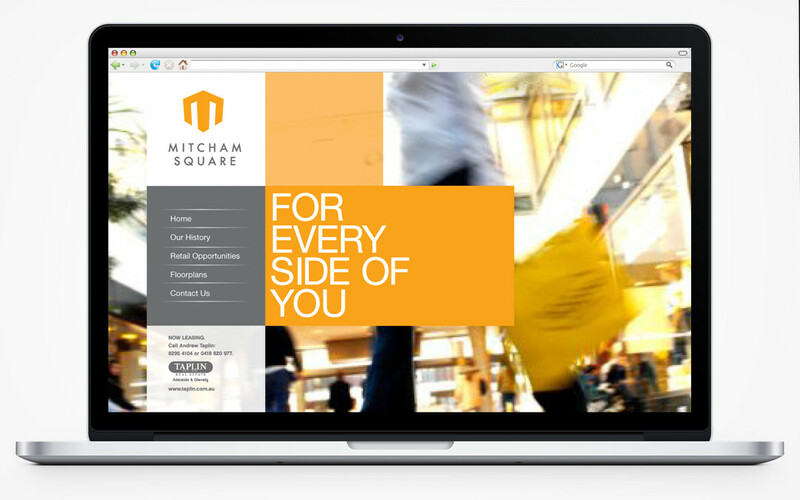 The challenge was to create a unique identity that would position the precinct favourably amongst retailers. Before attempting any designs, Nicknack first conducted a survey of competitive brand identities in the marketplace. This helped identify potential opportunities in terms of colour, positioning, visual language and brand personality. 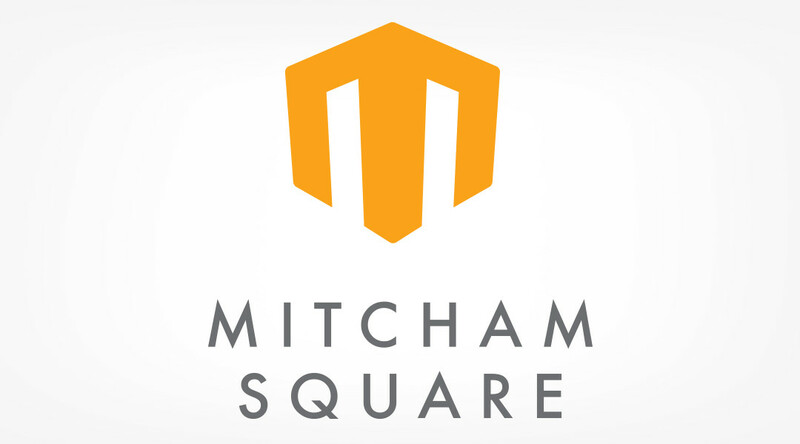 Nicknack developed the name ‘Mitcham Square’ as part of its strategic brand recommendation. A symbol was developed that not only gave the impression of a towering citadel, but also resembled the letter ‘M’. 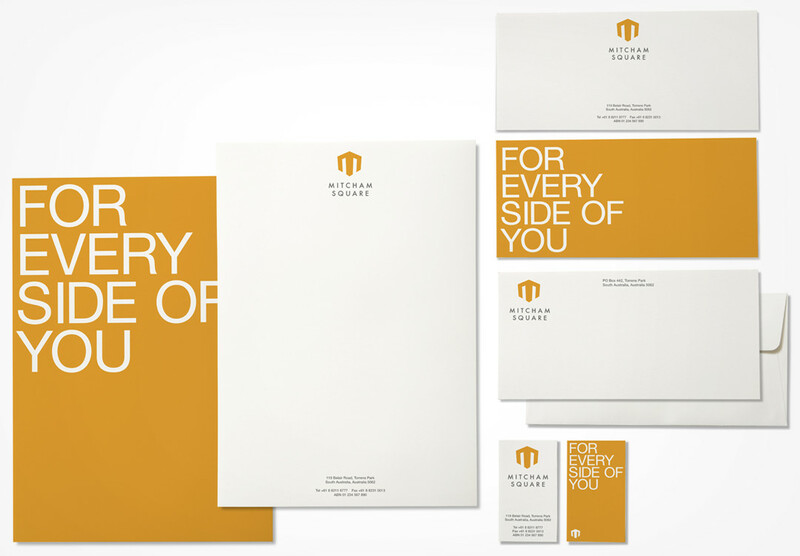 This powerful symbol, rendered in orange, gave the brand a positive identity that exuded success and vitality. 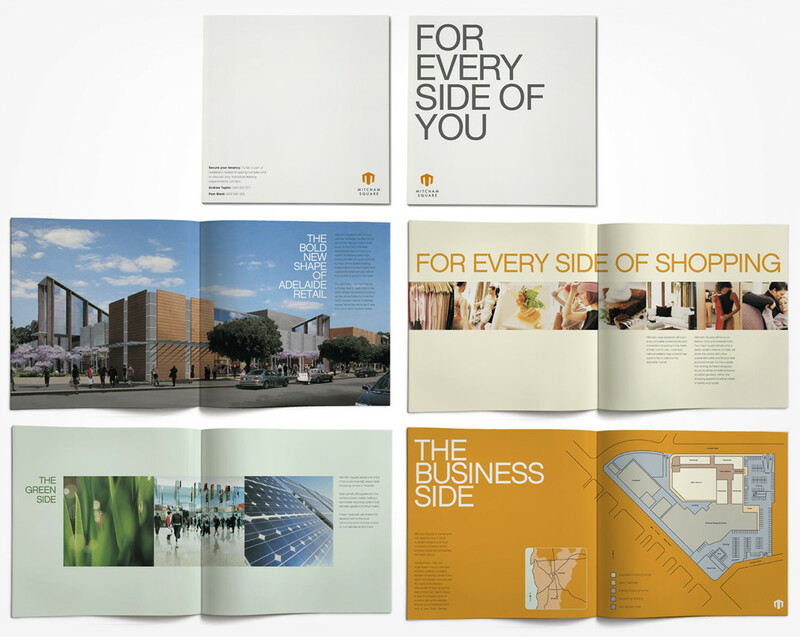 A sophisticated graphic language was also evolved that was applied across corporate stationery as well as the sales brochure. Apart from these items Nicknack also developed a brand guidelines document to help maintain consistency of execution across media. Need a new visual identity to work along with one of your existing brands? Speak to us today and let’s get started to make it happen.